Home World Europe News Prostate cancer: a new treatment option from Swedish Lund University researchers. 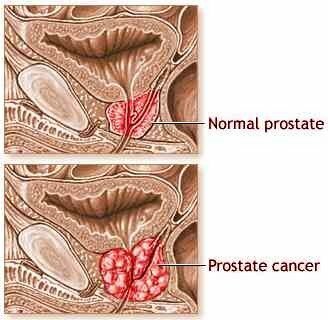 [googlead tip=”patrat_mediu” aliniat=”stanga”]Swedish researchers from Lund University have identified a new treatment method for the advanced prostate cancer that may attack and destroy prostate cancer stem cells. The current common prostate cancer treatments like radiation, hormone therapy and even surgery are ineffective in completely eradicating the tumor. However, the Swedish team is currently working on developing a new therapy that attacks prostate tumors at the root. This is great news and gives hope to those men who have received positive PSA (Prostate-Specific Antigen) tests for prostate cancer. According to the researchers’ statement post on the university website, the new therapy works by targeting a specific protein in prostate cancer stem cells. They found that the STAT3 protein is integral to the ability of stem cells to grow and regenerate. They also noted that the natural compound galiellalactone inhibits the activity of STAT3. A successful interdisciplinary project is underway between two research groups, in which senior researcher Rebecka Hellsten and Professor Anders Bjartell at the Faculty of Medicine’s division for Urological Cancer Research, Skåne University Hospital in Malmö, and Professor Olov Sterner and Assistant Professor Martin Johansson at the Lund University division of Organic Chemistry recently published their latest research findings in the scientific online journal PLoS ONE. “Prostatic tumors are thought to consist only of about 0.1 per cent cancer stem cells, but if you are not successful in eradicating that tumor cell population, there is a risk of subsequent uncontrolled growth of the tumor. The cancer stem cells are often unresponsive to both hormonal treatment and to chemotherapy, so it is essential to develop a direct treatment towards all types of cancer cells”, says Anders Bjartell. Exploring the tumor biology of prostate cancer, the research group have now observed that the protein STAT3 is active in the stem cell-like cells. In their previous studies, they have proven that the natural compound galiellalactone affects STAT3 and has inhibitory effects on the growth of prostate cancer. Through the development of new specific STAT3-inhibitors with galiellalactone as a model, the researchers hope to develop targeted therapies that attack the stem cell-like cancer cells in prostate cancer and prevent the tumor from growing and spreading. [googlead tip=”lista_medie” aliniat=”stanga”]The discovery is still in its very early stages. However, the researchers said they believe using this knowledge to design new pharmaceuticals could significantly improve existing prostate cancer treatments. Any treatment derived from this method would still be a number of years away.